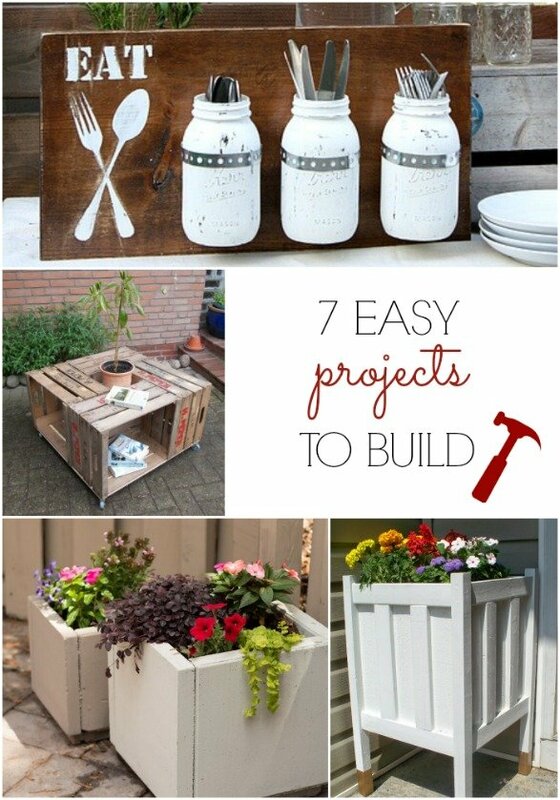 Spruce up your space with these 7 easy projects to build! Follow the links for the full step-by-step tutorials. Spruce up your space and flex your DIY muscle with these 7 easy projects to build. Click "Next" to scroll through the gallery. Click the blue links to be taken to the tutorial. I have been wanting to try making the concrete planters. Looks like they use one of the concrete pieces on the bottom too. Will have to give it a try! Thank you so much for the feature , Beth! You can see your Blog- Button on my blog and on my Pinterest- Board “MyDIY – Featured Beistelltisch -Patio Table on”. I am interested in the names of the colors of paint you used to make the door number plaque. would also like to know the name of the color you used to paint your door. LOVE IT!! last thing…..what do you think this color door will look like with a red brick ranch house. the mixture of brick colors are mostly shades of red, some orange, and some brown.??? ?